Daan Jippes Collection Volume 1 out now! Scoop is reporting the release of a great new series by Gemstone Publishing in the United States. The first book in the Donald Duck Family: The Daan Jippes Collection Vol. 1 is out now ! 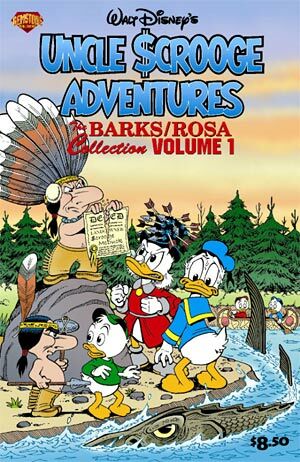 It features the first five Junior Woodchucks stories that were written by Carl Barks and drawn by talented Dutch Disney artist Daan Jippes. Legendary duck artist Carl Barks created 24 pencil-scripts after he retired in 1969. These stories have been completed by Daan Jippes in a style faithful to that of Barks. Jippes started drawing the stories in 1992 and has just recently finished the last few, which have already been printed in Europe. Americans can now enjoy these beautifully crafted stories, featuring Donald’s nephews Huey, Duey and Louie as the Junior Woodchucks, in this new series. You can order the first volume of the Daan Jippes Collection on Amazon for just $8.99 . Disney also announced an extension of the deal with Stan Lee’s POW Entertainment Inc. that covers all forms of media from movies and television, to publishing, games, the internet and mobile-web. BOOM! Studios and Disney Publishing Worldwide have announced today that they will bring brand new stories based on characters from Disney Pixar’s animated feature films to the comic book medium. 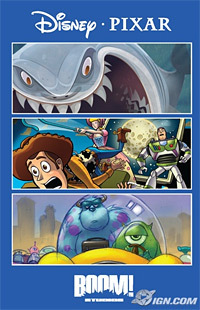 The comics will feature characters from Toy Story, Finding Nemo, The Incredibles and WALL*E.
After a few delays at Gemstone Publishing, Disney comics are back on track in the United States with several new releases scheduled for this month. 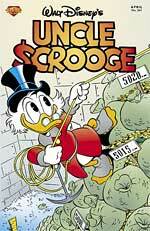 To be shipped in January 2008 are Disney's Ducktales by Marv Wolfman: Scrooge's Quest, Uncle Scrooge #371, Uncle Scrooge #372 and Walt Disney Treasures Vol. 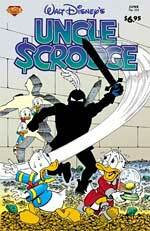 2: Uncle Scrooge — A Little Something Special. For details on what you can find in these new issues see Scoop. This month Gemstone Publishing in the United States is releasing the second issue in their Walt Disney Treasures series. 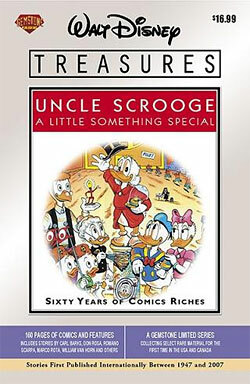 Uncle Scrooge: A Little Something Special, a 160-page trade paperback, celebrating Scrooge McDuck’s 60th anniversary in style. Disney Publishing Worldwide has cancelled Disney Adventures, a monthly digest-sized magazine with comics and articles for tweens. The series was launched in the United States in 1990. The November issue will be the publication’s final issue. The company said that the decision was made to better focus resources and maximize long-term growth potential through new magazine and book initiatives.